We buy computer RAM Modules and pay you for the precious metals (such as gold, platinum, silver, and palladium) found inside them. See what other computer scrap has value and what we buy. 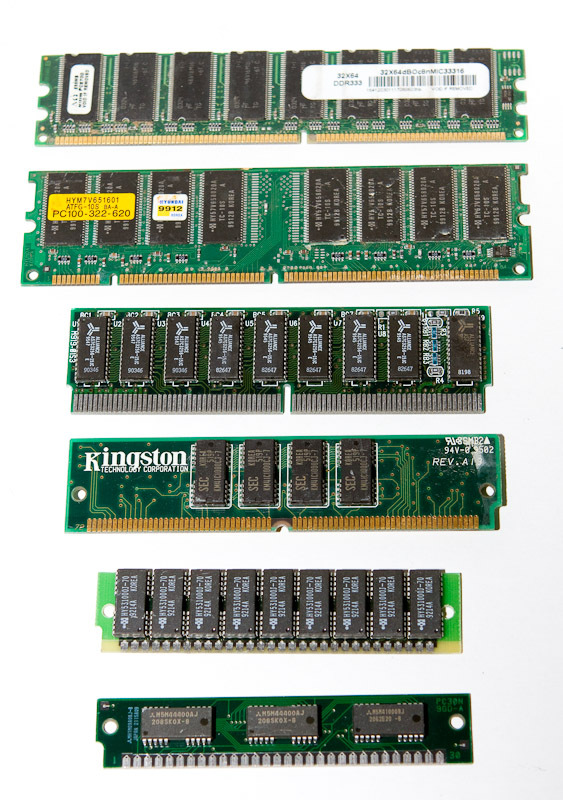 RAM, or Random Access Memory, is the short-term memory of a computer. RAM chips are found as a bank of long, rectangular 'mini circuit boards' that are populated with numerous memory chips. 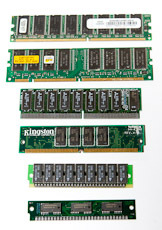 A computer may have 1 to 8 RAM modules. Older RAM modules are generally smaller, but have bulkier chips. Newer modules are recognizably sleeker. RAM modules are small, light, but valuable due to the large row of gold plated fingers and precious metal found within the chips on the modules. It is very economical to ship and process RAM. To get started, please contact us, or send us details about your RAM for a price estimate and shipping arrangments. The minimum quantity for shipping RAM is 5 pounds to ensure your profitability.